Le Toux and Nowak, in happier times. 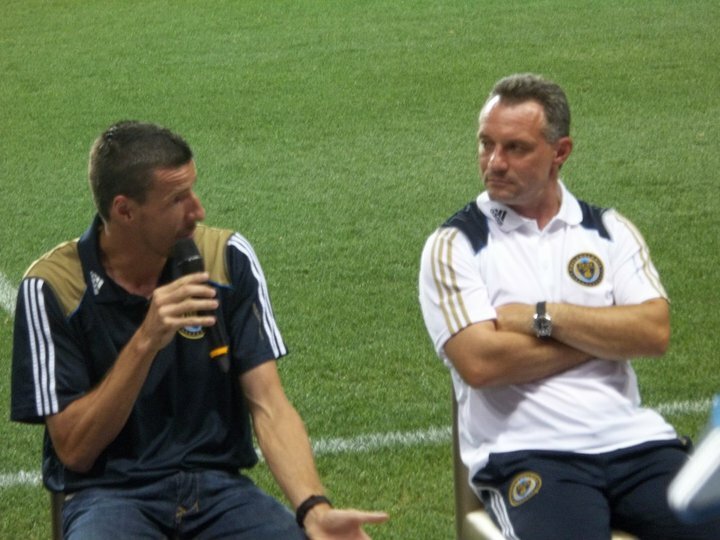 I was fortunate enough to attend the 2011 Philadelphia Union Supporters Summit last August. Don Garber, Nick Sakiewicz, and Peter Nowak were all there to field questions from Sons of Ben members. There representing the players of the Union were captain Faryd Mondragon and fan favorite Sebastien Le Toux. Both of those players are now gone. What can I say, I love soccer. I love match days the way kids love going to Disneyland. I love the experience, I love the emotion and I love the people, well, most of them. 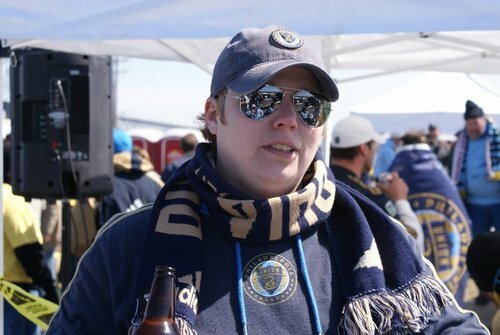 Yes, my team is the Union, but I am also a Founding Member, Season Ticket Holder, a member of the Sons of Ben and have never missed a home match. This will be my first attempt at blogging so I am a little nervous, but at least I am writing about something I love and something I live. I have always enjoyed all kinds of sports. I used to play tons before I messed up my back but I never stopped watching. I love how matches are neutral to the political folly of humans. The players themselves may not be, but there are rules, and they are for everyone. Also, it doesn’t matter if you’re white, black, purple, gay, straight or whatever, the laws of physics are absolute and the player that worked the hardest, with the best genetic makeup, will prevail. Of course there is luck, but luck runs out. I can be found in The River End, section 138 (‘We Are 138’) with my wonderful girlfriend that I think loves the Union more than me! So I get to enjoy the sport I love with the person I love, life is great!! DOOP! !